Celestial Equine has huge news! We have launched our first Indiegogo campaign to help fund our database optimization/genetics overhaul, server upgrades, and other various developmental updates! The genetics update will not only improve load times, but also result in a more interesting breeding experience! In addition to optimizing our database, we also have a new breeding algorithm to introduce! This new genetics feature will allow for carrier genes, incorporate genetics from the parent breeds, and add a rarity factor into the breeding script. We anticipate a sizeable influx of active players once our load times are resolved, so upgrading our servers is our second most important priority. We would like to raise 3 months worth of server fees + the fee our developer will charge to assist with the move. Our upgraded server will ensure Celestial Equine stays lighting fast! We have a handful of pesky bugs (errors) remaining that need to be resolved. These fixes will help improve the game experience and allow us to introduce new features! All additional funds will go towards new features! 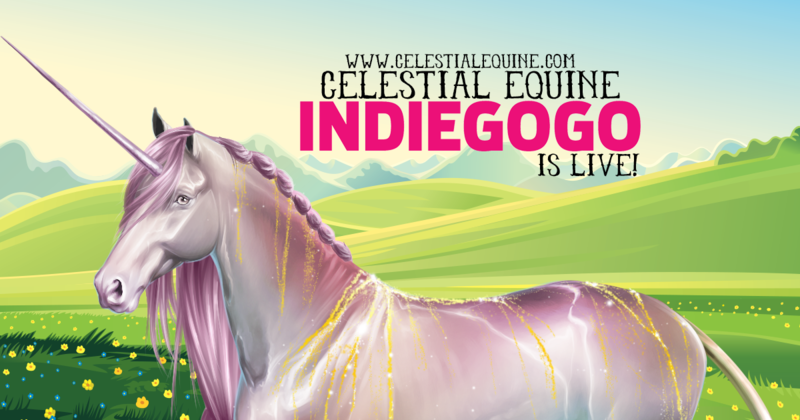 As previously mentioned, Celestial Equine is currently in LIVE beta mode, so you can check it out for yourself before deciding to back our project. Our goal is to move from live development by August for a grand opening! Check out the project here to view tiers and gameplay previews!